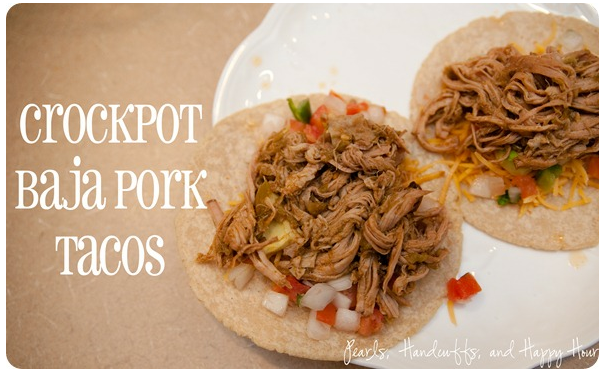 This crock-pot pork taco recipe courtesy of the fabulous “Pearls, Handcuffs, & Happy Hour” blog has quickly become one of my favorite meals to prepare — it’s simple, easy, and unbelievably delicious so we know your family and friends will love it too! The best part? You can order all of the ingredients including delicious pork tenderloin from your friends at Passanante’s Home Food Service and have them delivered directly to your home! Cut the tenderloin in half and place in crock pot. In a small bowl, mix together chilies, taco seasoning, and cumin. 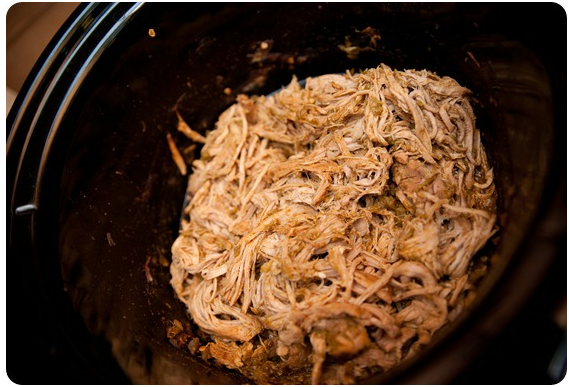 Pour mixture over pork, cover, and cook on low for 8-10 hours or until pork is tender and easily falls apart. Not a Passanante’s customer? Try a FREE Gourmet Food Sample today! Try some of our other Pork Recipes…. This entry was posted in Pork, Recipes and tagged Baja Pork Tacos, Crock Pot Recipe, Food Delivery Service, Grilled Pork Chops, Honey Tabasco Pork Chops, Passanante's Home Food Service, Pork Recipes, Pork Tacos, Pork Tenderloin by Passanante's Home Food Service. Bookmark the permalink.